Some times it just strikes people as to how expensive these Japanese anime DVDs really are. 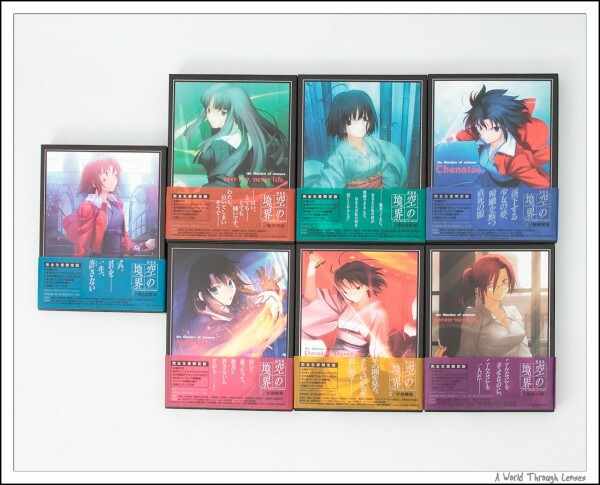 Take Kara no Kyoukai for example, the DVD set has 7 volumes in total, each volume only contains a single DVD for 1 part out of 7 parts theatrical relase. (The other disk in the limited edition is the soundtrack CD) Out of the 7 volumes, 5 volumes has a run time of around 50 minutes while the other 2 volumes has more standard movie run time of around 120 minutes. If you look these up on Amazon.co.jp web site (Japanese) you will see that even at 25% off MSRP these DVDs are selling around ¥6,600 per volume or over $75 USD per volume. The total cost of the entire collection will be $525 USD plus shipping from Japan (will cost just over $20 USD per volume if you purchased one by one). The total cost to complete this DVD collection will be $665 USD. With that kind of money in North America, you can buy a 32″ TV plus a blu-ray player and still have changes left over! I did manage to find myself a deal. I got all 7 volumes, brand new, unopened, from Yahoo Auction Japan for a total of ¥38,800. After all of the deputy fees it comes to $495 USD + $70 USD shipping to me. That makes the total cost to own this DVD set to be $565, a big saving of $100 USD. Just exactly why Japanese anime DVDs are so expensive? Purchase power parity is probably what’s at play here. Now this particular DVD set does not have a North America release yet, so I can’t compare them one to one. I can however compare another DVD set that I have purchased previously — Suzumiya Haruhi no Yuuutsu Season 1. The limited edition Suzumiya Haruhi no Yuuutsu DVDs in Japan was priced around ¥6,600 per volume for a total of 7 volumes. 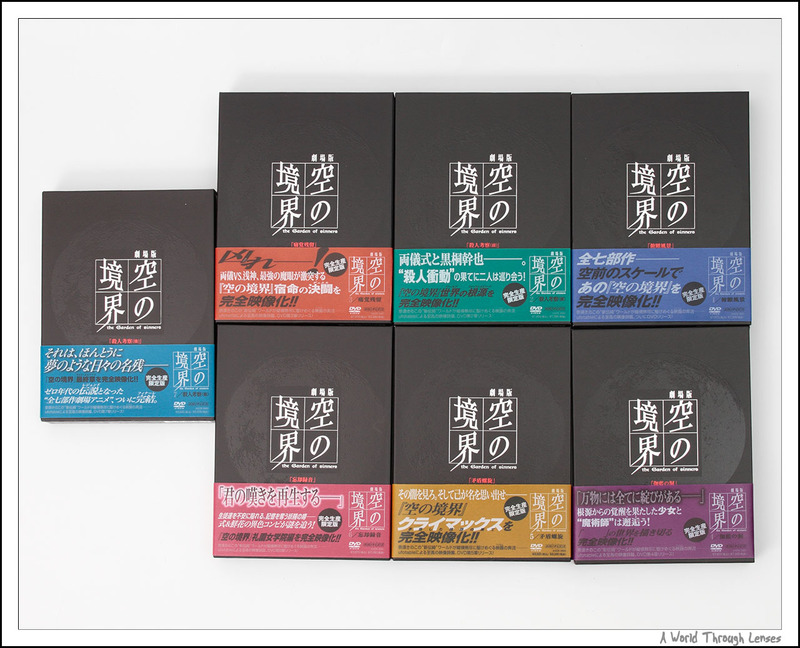 This makes a total cost of owning the set to be ¥46,200 or converted using today’s exchange rate, $525 USD before shipping. Compare that to the limited edition release in North America which has included more or less the same items in the Japanese limited edition package but did compact the episodes onto less disks. 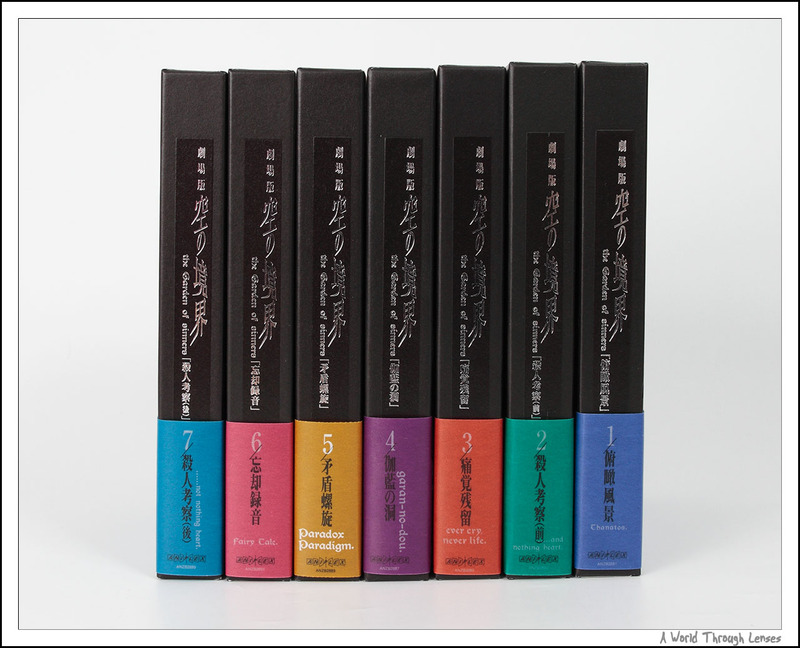 The limited edition release in North America was priced around $40 USD per volume for a total of 4 volumes. This makes a total cost of owning the set to be around $160 USD before shipping. So how much more expensive Japanese anime DVD is when compared to the North America anime DVD? The factor according to Haruhi limited edition DVD set is 3.28. Interestingly enough that a particular way that purchase power parity was evaluated was the Big Mac Index, and the big mac index put Japan again US at a factor of 3.59. Now that is really close. So I guess in a way the anime DVD price is fairly represented by the purchase power parity factor. Out of the three tapestry, I purchased Ayanami Rei and Asuka Langley. The one I did not purchase is Makinami Mari Illustrious to the very right above. I decided to hung Ayanami Rei right around my work area. But apparently the tapestry is a bit too long that it actually goes below my desk even if I hung it right from the ceiling. 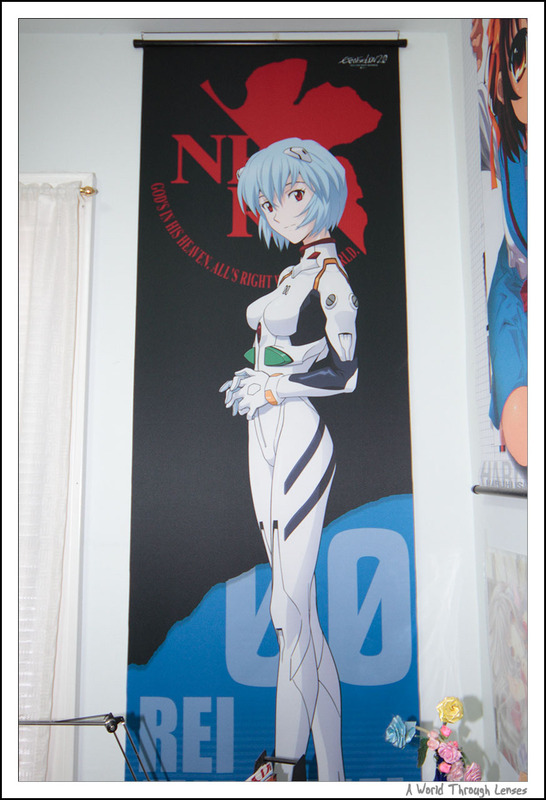 I was hoping that I can see Rei in full length on the wall, but I guess I didn’t measure the height of my wall and estimate how tall Rei will be on the tapestry correctly when I made the purchase. 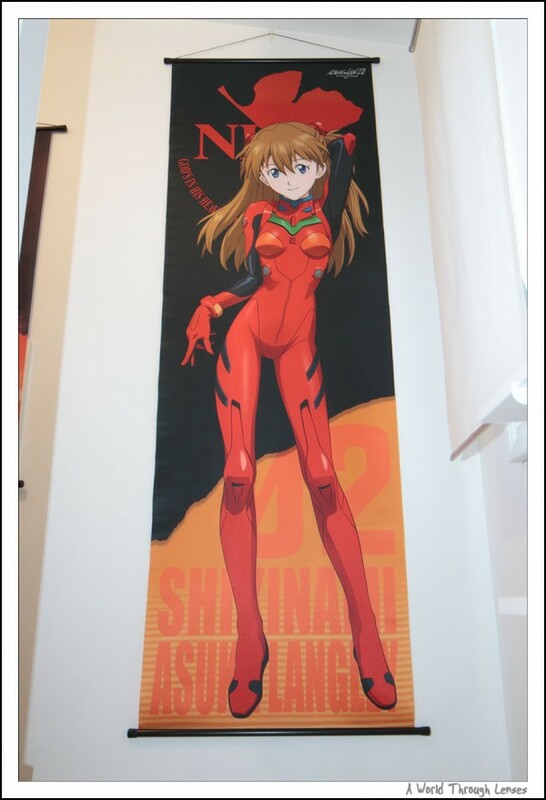 Despite the fact that part of Rei is not visible, the tapestry certainly made a nice wall covering, and definitely brought some life into my office. These tapestries seems to be sold out in my usual online shops by now. Hobby Search is still having them on waiting list email. So maybe they can still get stock for these items. 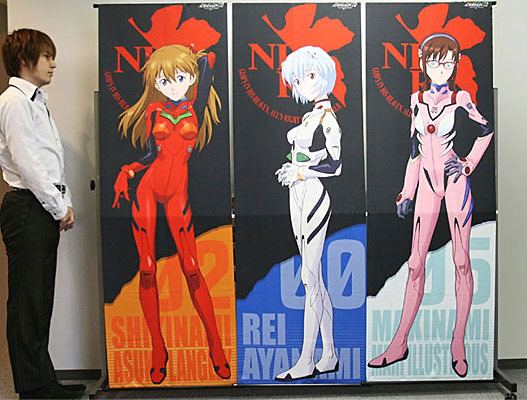 AmiAmi has the three (Ayanami Rei, Asuka Langley, and Mari Illustrious) on back order but they are still taking orders, so they probably can still get their hand on these as well. At the time of the posting, Animaxis still have Makinami Mari Illustrious tapestry in stock but the other two are labeled as sold out.